I am hoping you will enjoy knowing about a free mini-study I have in my archives! This plan helps your family learn a little bit more about two fauvist artists and their style of painting. The unit includes links and follow up art activity ideas for you to use in your family. I always love sharing my favorite artists with my readers and for new readers you may not realize all of the fun things I have created in the past here on the Harmony Fine Arts blog. You may wish to check out my free downloads page for additional activities for your family. Chasing Vermeer by Blue Balliett is one of those books that our whole family enjoyed. We have listened to it as a book on tape on a long car journey which is a fun way to pass the time. It is a mystery that involves real paintings by Jan Vermeer, the Dutch artist who lived in the 1600’s. Here are the two main paintings discussed in the book with links. I found this rather well done “book trailer” on YouTube if you want to get a taste of the book before you read it with your children. Now for the follow up. If you own my Vermeer mini unit, both of the paintings above are included in the schedule and include notebook pages as well. 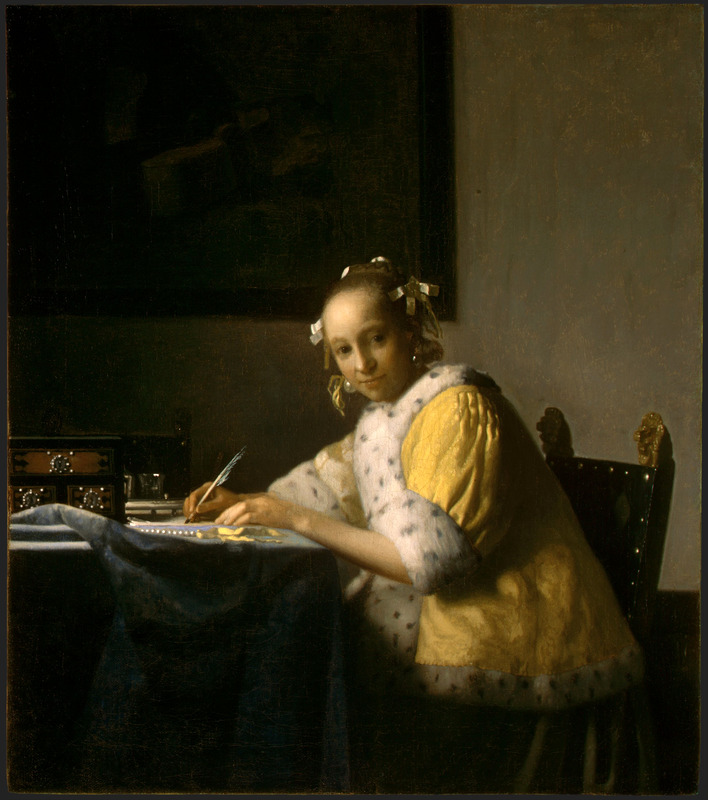 WikiArt – Vermeer This is a website that many of Vermeer’s paintings that you can view, save, and print since they are in the public domain.